Hello and welcome to my site! My name is Jimmy Chang. I'm an IT engineer with a passion for sailing and exploring different parts of the world. My favorite country, that I often visit on my trips, is Croatia. I just can't seem to get enough of that country. It's so amazingly beautiful and well-preserved. 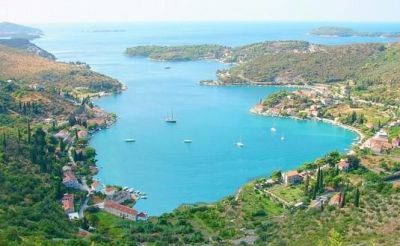 This year, my family decided we should set sail for the inlet of Zaton. Zaton lies just near the entrance to the harbor of Dubrovnik on the Adriatic coast of Croatia. It is popular summer weekend anchorage for yachts out of Dubrovnik and it is also a lot cheaper than the ACI Marina in Dubrovnik. The weather was really nice that day, we picked the perfect weekend to sail. Not too crowded either. Approaching Zaton was easy. A light structure on the headland of the inlet was visible from some distance. We set anchor alongside the stone bulwark at Veli Zaton. We proceeded to discover the wonders of Zaton on foot, hoping we would find something to keep us entertained for the rest of the day. The village of Veli Zaton sits in quite pleasant surroundings. Round the inlet are several summer residences built by the Dubrovnik aristocracy of the 17th and 18th centuries. The first on our list was the Parish Church dedicated to the birth of virgin Mary, followed by the St. Nicholas Church which is the only preserved example of the Romanesque architecture with the central ground-plan and the cross-ribbed vault from the end of the 11 th and the beginning of the 12 th century. The local folk there are traditionally engaged in sheep-breeding and fishing, and in more recent times in tourism and market. The sea path between Šibenik and Zaton represents a well-known rowing patch suitable for international and national competitions in rowing, while many national and international teams come here in winter time for training due to favorable climate. We didn't come during the time of the competition to witness this spectacle, but we did see some people training hard that day. During our stay in Zaton, we saw lots of beautiful coves with sand and pebble beaches. The clean sea felt so good while taking a swim in it, and the shade under pine trees along with an unforgettable sunset were the highlight of that day. Even though we only saw a few tourist attractions, we had a splendid time and would return here next year, if given the possibility. The serenity and climate suitable for a peaceful and pleasant rest, give Zaton an advantage in comparison to other tourist destinations that are crowded and noisy with people. My family really enjoyed themselves and I would recommend Zaton to everyone. I hope you will have a nice stay in Croatia. Have fun and safe sailing!